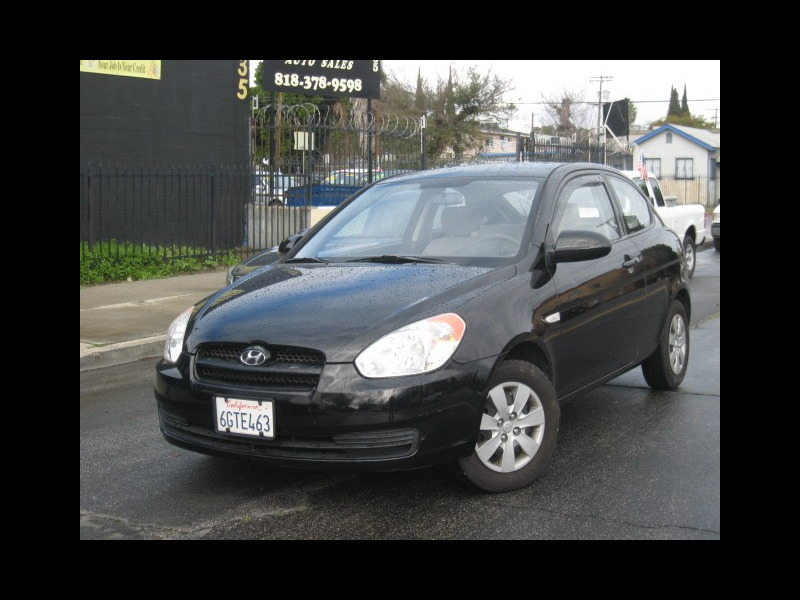 2009 HYUNDAI ACCENT...............ONLY 63K MILES ..........ALL POWER........BLACK WITH GRAY INTERIOR..... 4 CYLINDERS , AUTOMATIC TRANSMISSION , POWER WINDOWS , POWER DOOR LOCKS , POWER MIRRORS , POWER STEERING, DUAL AIR BAGS , AM FM STEREO WITH MP3, AUX, USB, XM RADIO AND MORE.......... GREAT GAS MILEAGE AND LOW COST MAINTENANCE IS PERFECT FOR US HERE IN SOUTHERN CAL. !!!!!!!!!!!!!!!!!!!!!!!!!!!!!! VEHICLE HISTORY REPORT AVAILABLE..........................Call Us Now to Schedule a Test Drive (818) 821-3181 OR Come See Us In Person at 5635 Tujunga Ave. North Hollywood CA. 91601...............Vehicle History Available ........We Take Visa, Master Card, Cash And Cashier Check For Payment ......!!!!!!! !..WE HAVE MORE LOW MILEAGE AFFORDABLE CARS IN STOCK FOR YOU TO CHOOSE FROM.